The state of Alaska is well-known for its cold weather, wild frontier and grueling race events with sleds, but it has a government structure similar to many other states that can appoint their residents for the popular position of notary. This position serves a vital function and even more so in an area where there is a lot of open area between cities and towns so access becomes important. When you decide to apply to be commissioned as a notary, it is necessary for you to review and understand the process, limitations, tools and fees that apply. This will ensure that you stay within your boundaries and that if an audit is performed that you will pass with flying colors. Remember that every transaction must be recorded in an organized manner which is why most notary supply manufacturers offer this product in addition to the notary stamp and embossing seal. 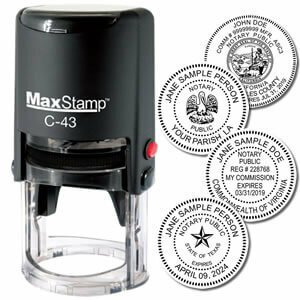 Looking for an Alaska notary stamp goes no further than getting online at your home or work computer and finding a quality vendor that offers these products at an affordable price and ships them straight to your desired location. 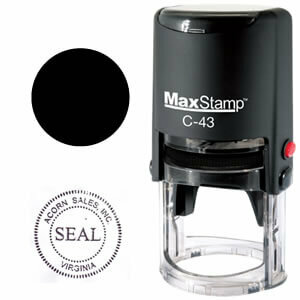 This state mandates that the applied image or impression must be photographically reproducible and that the stamp and seal can be used in conjunction with one another. The size of the circular image can be no larger than 2” in diameter and 2-1/2” by 1” for the rectangular image. There is no designated ink color or border required but the wording must include the notary’s official name, “Notary Public” and “State of Alaska”. The guidelines do not speak directly to the display of the expiration date or commission number but these are usually included in standard formats as well so that the user does not have to write the information every time. Check out the online notary kits and different options so that you buy the tools that will best support you in your position and remember that working with the best vendor guarantees quality and better performance. You should always want the impression you leave on documents to be clear and professional based on the formality of the notary title. 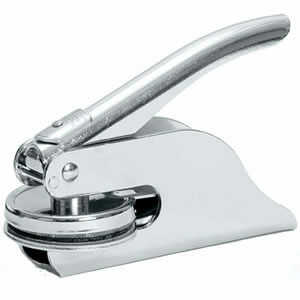 If you are thinking about purchasing an embossing seal, the addition of an Impression Inker is a smart buy.